Total Security announced as Top Rated Security Camera Company in Nassau County. 2. They should provide affordable security camera systems from Product thru Installation, all with a strong warrantee. 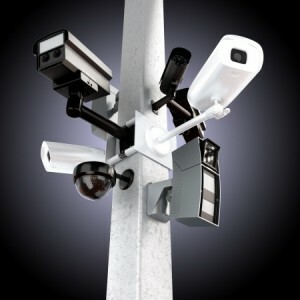 Nassau County surveillance camera company Total Security is affordable. We install the top security camera brands for you cost effectively. Nassau should also have a showroom where its customers can visit, meet with the Owner, and get all of their security needs taken care of. Which security camera is right for you? Call (516) 775-2304 to get assistance. Get Your FREE Estimate. Click Here! Make sure to use companies that have over a decade of LOCAL business. Watch out for overly aggressive sales tactics or “too good to be true” offers. Focus on value – getting good quality for a fair price. Get a quote in writing and speak to the Owner or Customer Service if you have any doubts. Look for a company that has been reviewed and scrutinized by the Better Business Bureau and has come out with an A+ Rating. Here is a blurb from a news story about our company after receiving this prestigious rating. For the full story, read about Total Security’s A+ Rating by BBB here. Most importantly, look for Total Security, a trusted security company. We are the Original and only company that truly provides the complete security NY solutions for the Nassau County area. We have our own security camera store and showroom that is filled with staff ready to serve you. Did you know that the crime rates for Nassau County in 2014 (so far) are approximately 20,099? Out of that figure, there were a total of 386 burglaries, 144 commercial robberies, and 701 residential burglaries, according to the Nassau County Police Department’s Strat-Com Comparison Report. The writing is on the wall; having a professional security system installed in your home or business can help deter criminals. More information about Nassau County can be found here. For a free estimate call (516) 775-2304.